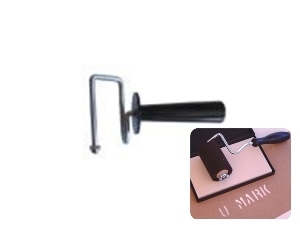 Replacement Roller Handle for Stenciling equipment. Fits the RE 10 Replacement Ink Roller . Solid steel frame with durable plastic handle. Used with ink and oil board stencils to mark crates and pallets for shipping.